Are you seeking tax accountants and/or accounting firm in Japan? Probitas international tax services provides the following services that are fast and accurate in order to make your obligations done as painless as possible. In our firm’s rule, our commitment is our response to the inquiry from our customer within one working day. Of course, we may provide final answer within one working day in some case, but we are trying to communicate with our customer closely in order to solve their concern. Our policy is that tax firm is service industry. We believe our customers have their concern that is why they make inquiry to us. So, we are always trying to think about what our customers want to do. In order to make our communication better, Slack and Line is available for us. Most of Japanese accounting/tax firms provide their services by their staffs, not by license holders. Our commitment is license holders provide our services in order to make everything clear as soon as possible. We believe it is material to provide responsible answer. Japanse accounting/tax rule is complicate, and getting more complex recently. Our commitment we will explain about Japanse accounting/tax rule and relative matters without complicate technical words as much as possible brevity. In the past, our tax service has never been terminated. We do believe our customers are satisfied with our service. We are always on customer side and providing effective service. Our firm had the experience on M&A. Some parts of our business had been tranferred to another tax firm. Of course, we have enough knowledge about M&A process, in addition, we believe our experience helps you more comfortable. Our partner of our firm (CPA) has the experience on IPO. We have various experience to make your business sucessful. Our firm is located in Aoyama area, and good access from Gaienmae station, within 1 minutes. Gaienmae station is 2 stations away from Shibuya, so also good access from Shibuya. This is our general fee table. Before starting our service, our fee quote is definitely prepared. Monthly retainer fee includes the fee for tax advice, but not for bookkeeping/payroll. If you need the fee quote for bookkeeping/payroll, please feel free to contact us. Our customer, SNS company, which headquarter is located in US, considered new business branch setup in Japan, but hesitated it due to high effective tax rate in Japan. They wondered how to reduce this high tax liability. We advised on how to reduce Japanese corporate taxes liability, when establishing Japanese subsidiary. In order to lessen tax due, we proposed setup of service company, which function was restricted, and direct sales to Japanese consumer from US headquarter. As a result, the company realized effective tax rate down. Enterprise beverage manufacturing company was looking for Japanese tax accountant who could support their accounting/tax work in English. We delivered tax service for their headquarter in USA. We provided tax advice regarding various tax issues, including capital payment/loan, Japanese consumption tax, loyalty to US headquarter. We do believe they/their accountants gained deep knowledge on Japanese accounting/tax system. Japanese tax authority contacted us that tax audit would be held on our customer. Our customer was foreign capital company, and all accounting work was done in Singapore. Their accountants/controllers wondered how to address their tax audit. We had several meeting with our customer several time before tax audit, and advised how to prepare accounting/tax documents tax auditors must request. During one week tax audit, we were always communicating with tax auditors and our clients in English. This is why we have deep experiences about tax audit on foreign capital companies and the points tax auditors will be seeking regarding foreign capital companies. No additional tax was levied on our clients, and tax auditor approved their tax returns. Our clients, consulting firm located in London UK, planed approx. 10 new consultants assigned to Japan office for enhancing business in Japan. They looked for the tax accountant who can support their JP tax issues. We have proficient experience about individual tax return of foreigners. We are able to support their tax issue totally, including their tax return preparation. Our clients could simply mail in the required information and we returned the completed tax return filing to you by mail. We were able to communicate with our clients in English, and tax return preparation had been done smoothly by due date. Some of them received the inquiries from Japanese tax authority about their tax return, but all of them were approved. When non-resident in Japan has property such as apartment and rental income from the property, under the Japanese tax law, rent fee should be withheld and tax return filing should be required. The investor in China looked for tax accountant in Japan, who support such kind of withholding tax payment, and tax return preparation. And also it is not easy for them to have bank account in Japan. Our designated tax representative service were provided and withholding tax payment had been done on behalf of our clients, by cooperating with asset managers. Our client leaves all the accounting/tax/fund management work to us as outsource in highly secure and reasonable way. We appreciate if you would ask us from inquiry form. Please feel free to contact us. We strive to get to know you and understand your future goals. We would ask you about the detail of your requirement, your concern, and your problem, if needed. It is free of charge. We would provide our fee quote/our proposal, based on our hearing. When you approve our proposal, we are going to provide our tax/accounting services. Please let me know which countries’ tax system you are specialized in. We are Japanese certified tax accountant, so we are responsible for Japanese tax system, including corporate tax, consumption tax, and withholding tax. If you request tax information of other countries, we are going to communicate with accounting firms in these countries in order to meet your request. Please let me know the detail of your tax services. Please let me know there is any benefit for your consultation before we are establishing our branch in Japan. Yes. There are various styles to establish base in Japan, including subsidiary, branch, rep office and so on. It is not easy to change the style after setting it up. We will advise and help you decide on what organizational structure is best for you in consideration with your request before your business in Japan is off ground. Please let me know if you are available for individual tax return preparation, such as expiates. Yes. We can provide individual tax return preparation service. 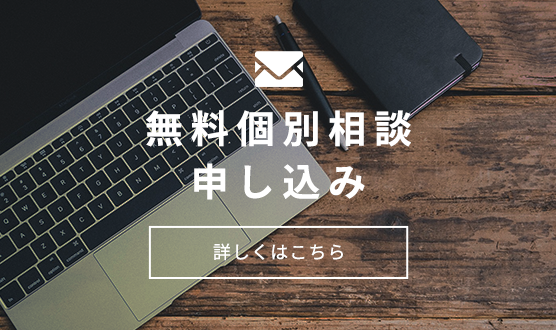 If you have any question about your Japanese tax/social insurance, please feel free to contact us. We also appreciate if you ask us to prepare tax returns for all of your expiates in your company in bulk. Born in 1974, Nishinomiya, Hyogo. My career started in Microsoft Japan as System Engineer. After 8 years experience as SE, I changed career from Microsoft SE to PwC tax accountant. In PwC financial division, I provided a variety of accounting/tax services to a wide range of financial clients, such as preparation of coporate/individual tax return, providing tax opinion, tax planning on real estate investment, advice on tax scheme. After PwC career, I moved to another firm to earn more experience. With extensive experience on international tax in PwC tax and another accounting firm, I established our accounting firm on February 18th, 2013, named TMF group tax services. In 2018, the business in TMF group tax services had been transferred to another accounting firm. I believe our experience/knowledge should help our clients’ suceess.